A taxi driver turned hacker who showed the world George W. Bush’s self-portraits has given his first interview, speaking to The New York Times from a maximum-security prison. 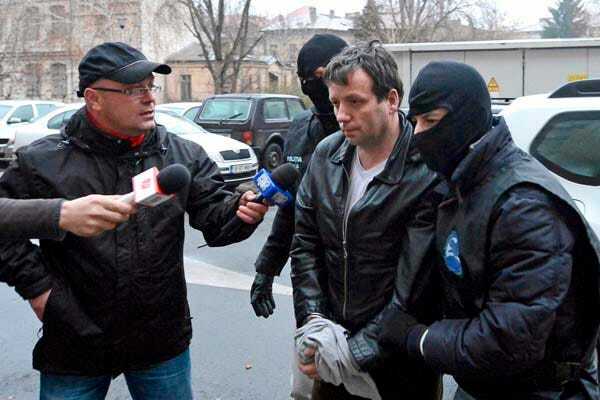 In the interview from Arad Penitentiary, the 43-year-old hacker known as Guccifer — whose named he coined to combine “the style of Gucci and the light of Lucifer” — revealed that he did not think his punishment fit his crime. Guccifer, whose real name is Marcel-Lehel Lazar, achieved notoriety after he obtained photos of naked self portraits George W. had painted of himself in the shower and in the bathtub, posting them to American website The Smoking Gun. The hacker released many other personal Bush family photos, including pictures of the former president’s father George H.W. Bush during a hospital stay. lirtatious messages and bikini photos she had sent to former Secretary of State Colin Powell, the Telegraph reported. Guccifer was a highly amateur hacker with little money and no sophisticated equipment and a largely trial-and-error hacking process, The Times reports. “He made many mistakes,” Viorel Badea, the Romanian prosecutor who directed the case, told The Times.